SAN FRANCISCO, CA--(Marketwired - February 16, 2016) - Primitive Logic, the premier business consulting and technology solutions firm, is proud to have received Informatica's 2015 "Cloud Emerging Growth Partner of the Year" award at Informatica's Annual Partner Kickoff in Las Vegas, Nevada on January 14th. 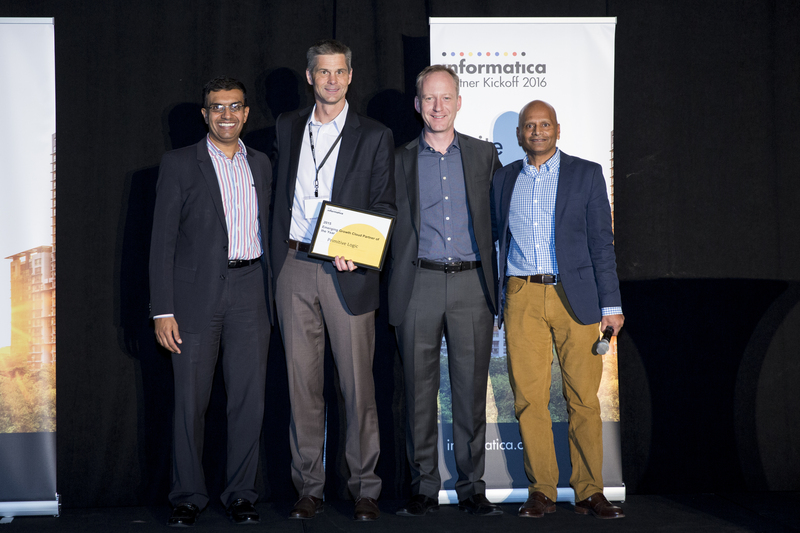 Informatica recognized Primitive Logic for delivering innovative business solutions with a variety of joint clients leveraging Informatica's industry leading products. "We applaud and congratulate Primitive Logic for winning our Cloud Emerging Growth Partner of the Year award for 2015. This award reflects the genuine partnership and collaboration we have with Primitive Logic. Their investment in our partnership to make our customers successful is visible and meaningful and will allow both of us to scale and grow profitably," says Balaji Subramanian, Global Head, Cloud Partner Alliances. Primitive Logic formalized its partnership with Informatica January 2015 and in less than one year, helped market-leading companies implement Informatica's Cloud Premium Editions offering (Data Integration, Real-time and CC360 products). Primitive Logic delivers value to clients by leveraging Informatica's products to help clients achieve data integration and governance between enterprise systems and to consolidate more IT architecture in the cloud to modernize customer relationship management and internal operations. "We are proud to have been recognized for our ability to combine our experience in data integration, enterprise architecture, data management, cloud, analytics and Salesforce.com with the Informatica cloud solution offerings. Primitive Logic is committed to delivering real value to our joint customers to help them achieve their business goals," says Mike McDermott, Senior Vice President, Sales and Business Development. Primitive Logic, founded in 1984, is the premier business consulting and technology solutions firm developing and implementing solutions that create value for market-leading corporations. We provide full life-cycle management and execution services from strategy and planning to creative, design, architecture, development and implementation. Primitive Logic collaborates with our clients to realize their strategy whether it's web, cloud, or mobile, on any platform. We are proud to serve many of our original clients -- leading organizations in their industry -- allowing them to evolve as technology changes. For a complete overview of Primitive Logic's business offerings, visit www.primitivelogic.com. 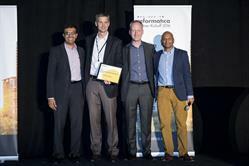 SVP, Mike McDermott, accepting Informatica's 2015 "Cloud Emerging Growth Partner of the Year" award at Informatica's Annual Partner Kickoff in Las Vegas, Nevada on January 14th, 2016.